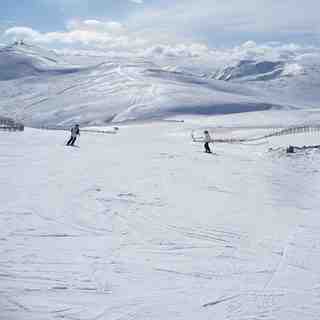 Is it snowing in Glenshee ?Tack! 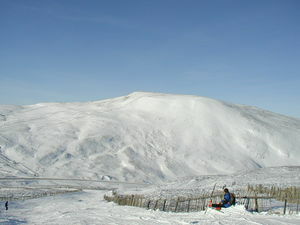 Glenshee lies just off the A93 road some 20 miles north of Blairgowrie. 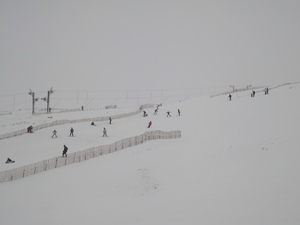 The resort is titled the 3 valleys of Scotland and when all lifts are open, the ski area really is quite extensive by British standards. 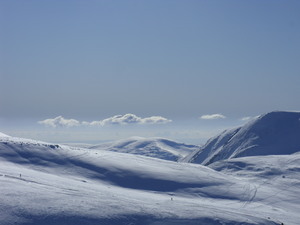 Served mainly by drag lifts due to persistently high winds you can ski in relatively remote locations on the slopes of Glas Moal, to the east. The steepest run at Glenshee is probably the west wall on the side of Glas Moal but it is the Tiger Bumps that people seem to remember. This run is served by a Poma Triple, installed in 2015; you have 250metres of vertical descent straight back down. 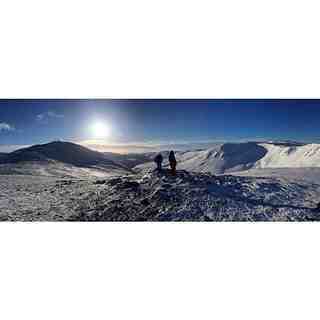 The longest lift served vertical is on Glas Maol, which has 301m of vertical with the highest lift at 1029m. 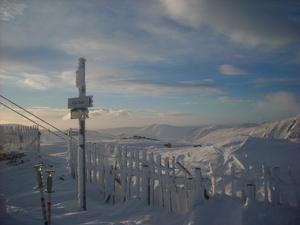 On its day, Glenshee can offer knee deep powder but it is often hard, icy and dogged by chilling winds. 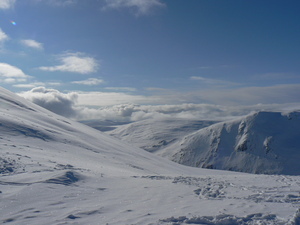 Accommodation can be found in Blairgowrie to the south or in Braemar to the North. One final comment; the A93 is known to block very easily and road conditions can be very hazardous so make sure you go prepared with a shovel and some grit! The best in the UK in so many areas. Fantastic lift system. Large area to explore. See some great wildlife. Also, mountain hares and various birds. Best ski hire is at The Cabin Ski Hire in Bridge of Cally. Best boards are at the centre. Huge parking area and 3 good cafes, decent beginner area too. Well worth the drive up!